In Md to run the vintage plate, you still have to have a historic plate to back it. You have the vintage plate and registration, on the vehicle, and then when the officer requests, you have to produce the current historic plate and registration. Both must be current, and both cost. Years ago I had a license plate that simply read, "KEN" and after growing up and starting my practice in CA (where it's impossible to get anything legible for personalized plates these days, or even back then), I thought it was amazing that I could get a plate like that even in Maine. I don't have any pictures of it, but I sold the vehicle and never transferred the plate because I moved out of the state. ^^^If they want to change it when they get older, I'll change it. 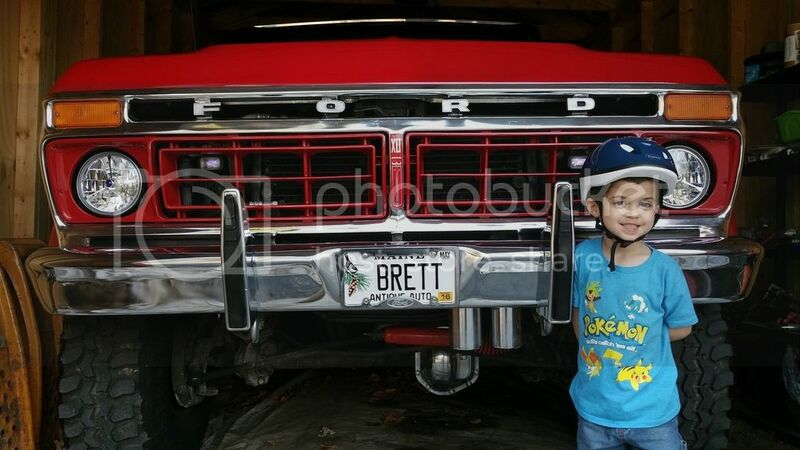 When I first showed it to them, Brett was happy and super proud; I think it solidified his ownership of it....Blake, being only 3, didn't have much of a reaction at all other than recognizing his name; in his defense, he's already OWNED the rig, so he knows it's his, he probably doesn't care at this point what the plate reads. 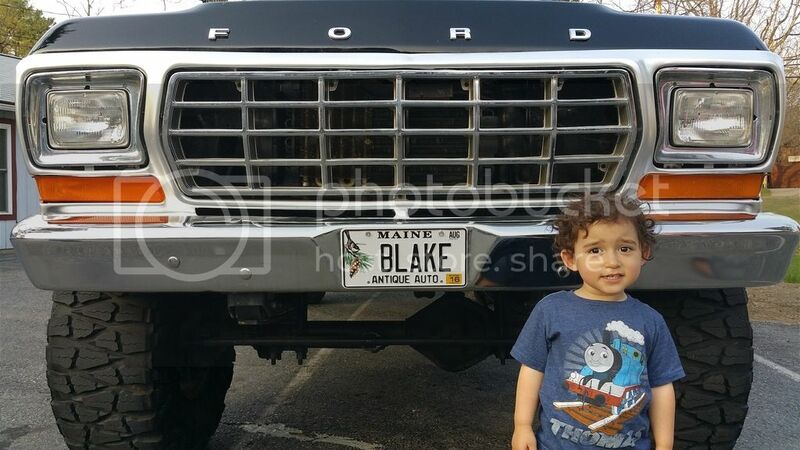 Great pictures of your boys, they will be a big hit in high school with those trucks. Thanks Cliff....I always thought the same thing....can you imagine the envy they'd get from everyone rolling up to school in these rigs! I'm reluctant to giving them these things that early because kids/boys will be boys. There was another thread about that one here years ago....it'd be good to give them some old car or truck to beat up and learn to appreciate the responsibility of owning a vehicle before giving them something like these rigs early on.